To grow and support a vibrant arts center that offers engaging opportunities and enjoyable experiences in visual arts, performing arts, history and education. 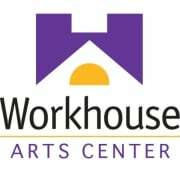 Workhouse Arts Center Vision To become regionally and nationally recognized as an innovative collaboration of visual and performing arts, education, community engagement, historical perspective and personal enrichment. Transformed from the former Workhouse prison, the Workhouse Arts Center is the perfect environment for inspiration and creativity. Stroll through our historic campus and meet more than 70 artists working on site in their open studios. Explore 11 renovated buildings, local, national and international exhibits in 12 galleries, 5 studio buildings. View historic objects and uncover the history of the former Workhouse prison when you visit the Workhouse Prison Museum. Discover your inner artist with over 500 different arts education opportunities for all ages and skill levels. Join us for a variety of exciting live theatrical performances and concerts in our W-3 Theatre. Whether you are an experienced art enthusiasts or seeking a new adventure, you are bound to find something new to discover at the Workhouse Arts Center. Would you recommend Workhouse Arts Center?